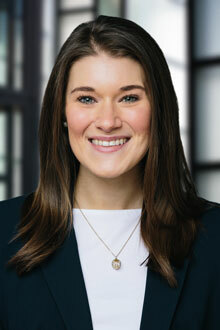 Olivia Phetteplace is an associate in the Boston office of Lewis Brisbois and is a member of the General Liability Practice. Olivia focuses her practice on a wide variety of civil litigation including toxic tort, personal injury and products liability. Before joining Lewis Brisbois, Olivia clerked for the Rhode Island Supreme Court Law Clerk Department where she worked with the Honorable Judge Susan McGuirl on a variety of civil matters on the Dispositive Civil Motion Calendar.